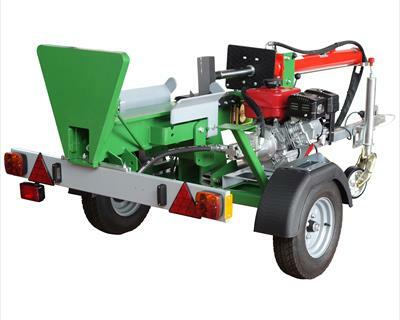 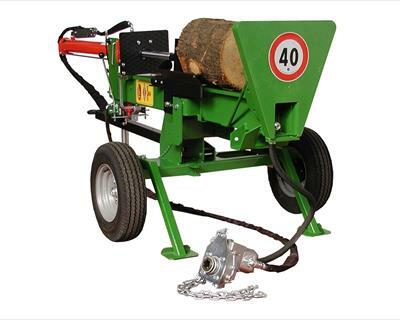 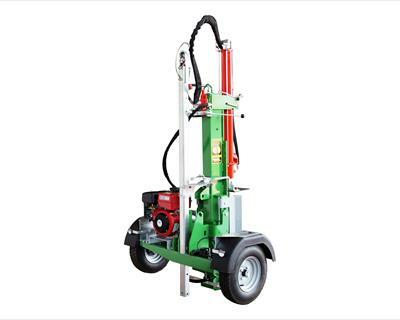 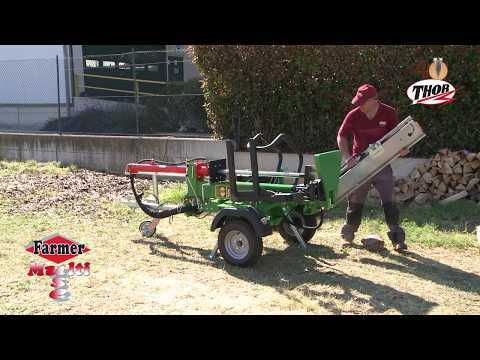 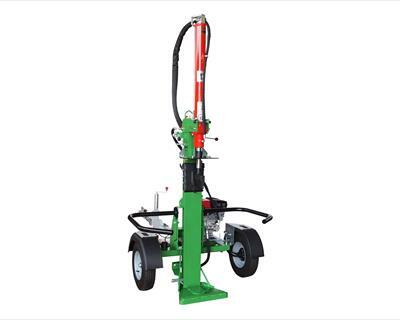 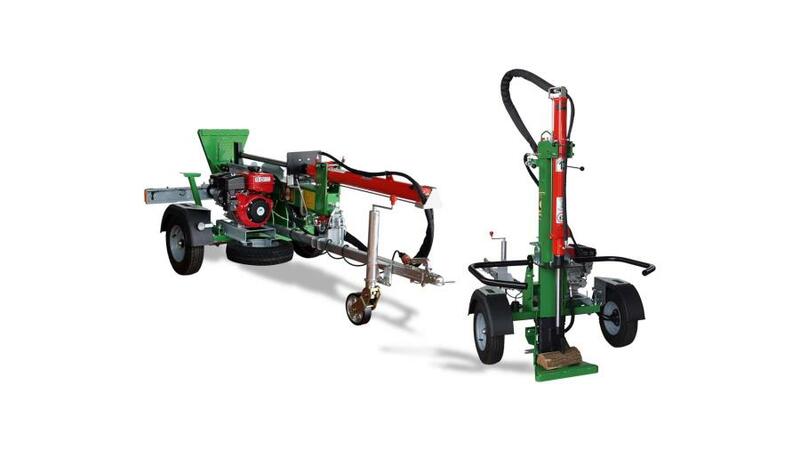 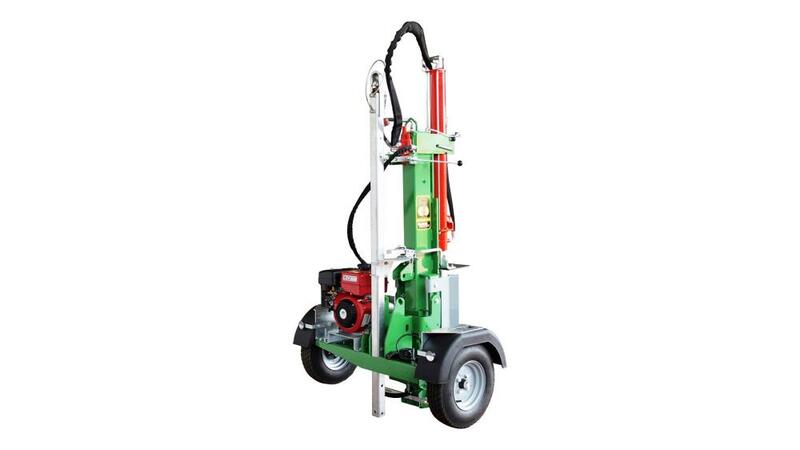 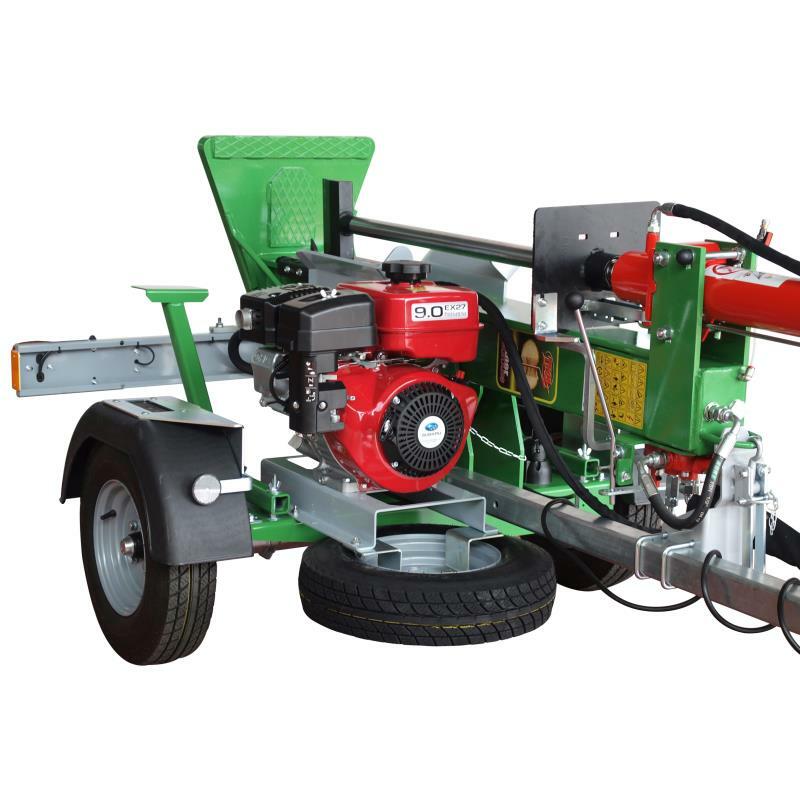 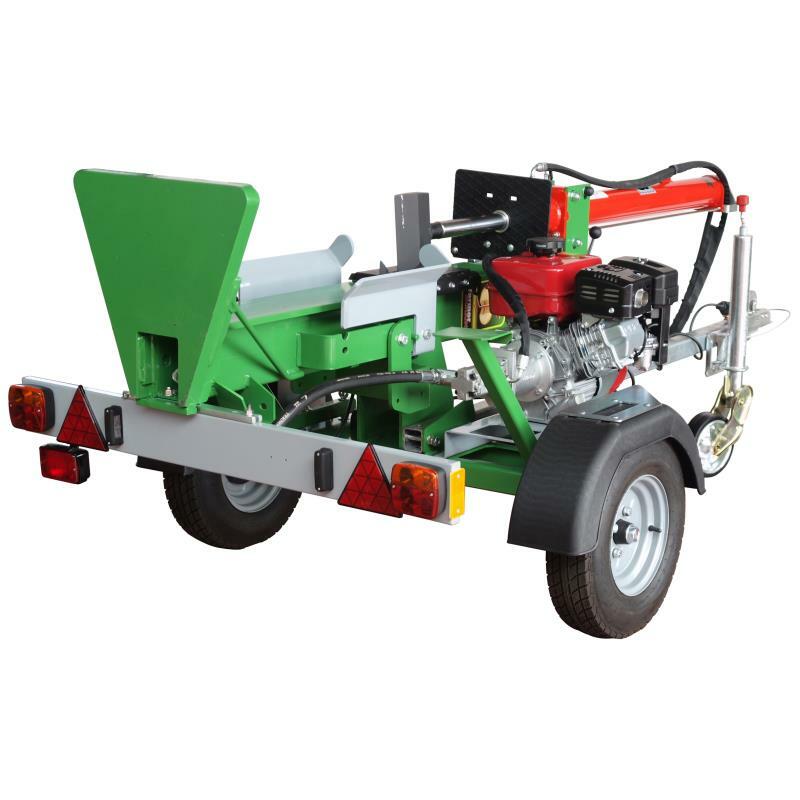 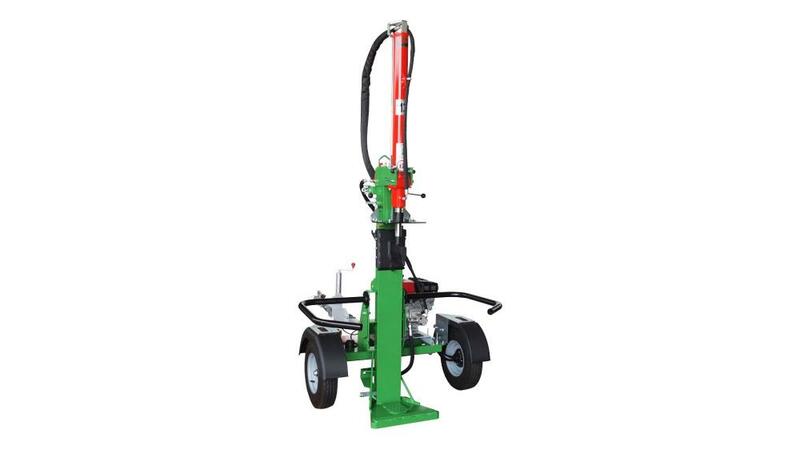 Hydraulic log splitters, towed and approved for road transport, with vertical and horizontal working position. 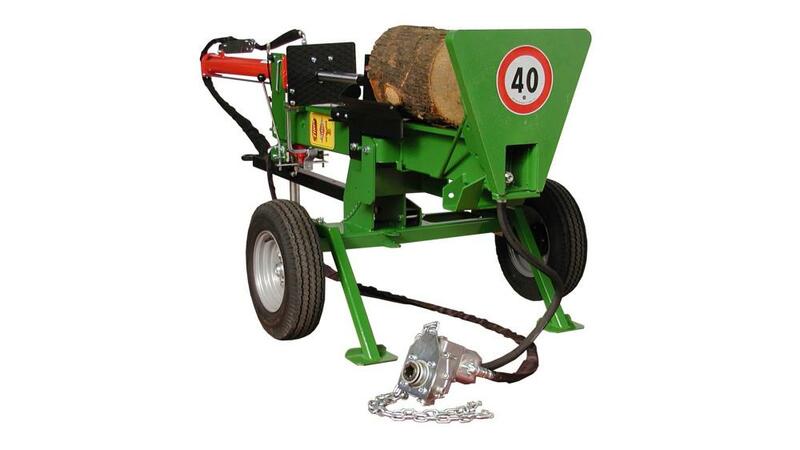 They split difficult logs of big dimensions up to about 80-90 cm dia. 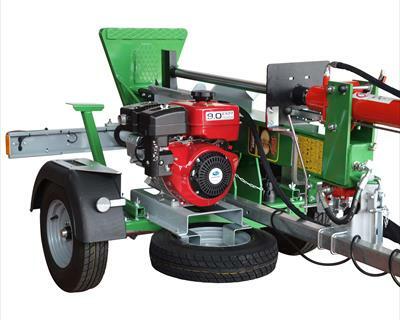 The log centering in vertical position occurs through a fixed bit welded onto the cutter guide.